No matter what the reason, post-traumatic stress disorder (PTSD) leaves a lasting mark on the brain. PTSD treatment is designed to address these psychological marks in a way that leaves the patient feeling their anxiety melt away. 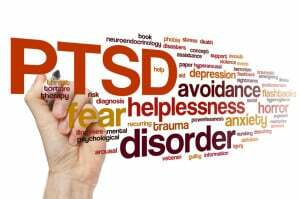 PTSD is caused by extremely traumatic life events that cause intense emotional scars to those who experience such events. In these situations, the physical scars heal, but the mental and emotional scars linger. Effective PTSD treatment should not rely on a method of suppressing or stifling traumatic life events. PTSD treatment that works doesn’t simply tell victims to “get over it.” Instead, it offers a way through that helps to relieve rather than re-live. Direct Neurofeedback is one such treatment option. It doesn’t require PTSD sufferers to forget. It merely redirects how their brain operates; we help take the brain back. PTSD is both painful and frightening. It often comes with tough memories that linger long after the victim experiences the triggering event(s). These lingering memories are called flashbacks. It puts people on edge, causes them to re-live their trauma, and can send them flying back into a self-induced protective shell. When this occurs, victims will often try to avoid people or situations that may put them in a vulnerable state. Avoiding life does nothing to help people heal from traumatic events. PTSD treatments that work help people by preventing them from having to retreat into their shell or avoid stressful situations for fear of triggering events. Comprehensive neuroimaging studies examining brains of people with PTSD have revealed that the structures of their brain differ from those who live with PTSD. Whether we are talking about the amygdala, hippocampus, or ventromedial prefrontal cortex, these regions show marked differences in those undergoing PTSD treatments and those who are not. These regions of the brain “remember” the trauma far long after it has ended. The most significant long-lasting damage is done to the hippocampus, where victims of PTSD show a considerable reduction in the volume of this region of the brain. What is even more troubling is that this region of the brain is most responsible for memory function. This means PTSD sufferers have a harder time separating the present from the past, further exacerbating the problems they deal with on a regular basis. Severe emotional trauma also impacts the ventromedial prefrontal cortex, which is responsible for regulating emotion. The amygdala triggers the emotional response through the release of specific hormones. How our ventromedial prefrontal cortex processes those hormones is what drives our emotional response. Both essential structures of our brain suffer loss of volume from PTSD. All these various parts of our brain are the neural circuitry are what regulates our stress levels. When they are atrophied because of PTSD, it decreases the individual’s ability to exhibit a positive response to stress. Rather than resort to medication or therapies, Direct Neurofeedback offers a medication-free, pain-free, and easy-to-manage twice yearly treatment following your initial sessions. Sessions are shorter than those for standard neurofeedback, which is what sets our method apart. If you are looking for PTSD treatment in Santa Monica, consider getting in touch with the professionals at The Dubin Clinic. We have been treating PTSD and easing stress for a long time.